We have the most outstanding grey female cria this side of the Missouri in our Kaspa/Blueberry cria! She continues to amaze me with the beauty of her fiber - crimp, brightness, color and handle! Did I tell you previously that the Trauco/Barbie cria is outstanding? She has great crimp, bundling, and extreme brightness. Needless to say we are very excited about the show season next year! 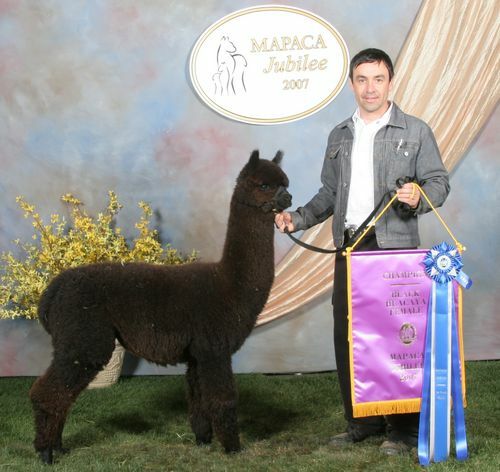 A big thank you to those that purchased alpacas from us at our 11th year at the The Parade of Champions Auction!